Turkish lawyer Fethiye Çetin wrote a book about the experiences of her grandmother, who witnessed the mass killings of Armenians during a death march of women and children in 1915 as a little girl. ‘My grandmother’ is now in its 7th re-print in Turkey. Back to 1915. The First World War continues, the Ottoman Empire is about to collapse and loses more and more ground to Russia. The government feels threatened by the Christian Armenian minority in the country, which is protected by Russia. Armenian men are killed, women and children are sent on foot to Syria. A journey of hundreds of kilometres in the summer that gets hotter very day. Fethiye Çetin writes about the events through the eyes of the women of the village where her grandmother, born in 1905, spent her youth among other Armenians. One day, the military police occupies the village, kills the chief of the village and takes all the men away. Nobody ever hears from them again. Heranush’s father is not there: he left to work in the United States five years before. After the deportation of the men, some of the women take their children and find refuge in a nearby village, among them Heranush’s mother with her son and two daughters. But that village is also attacked by the military police. Everybody is taken to a place nearby, where the throats of the men are slit. The women and children are banished and forced into a real death march towards Syria. Heranush survives. She is forced out of the caravan and her mother’s arms by Hüseyin, a corporal of the military police. He takes Heranush into his house, gives her a new name, Seher, and gives her an Islamic upbringing. He treats Heranush well, considers her his daughter, but his wife Esma treats her as a house slave, even more after Hüseyin dies young. Heranush is not the only child that is taken away from the caravan: the same happens to thousands of boys and girls. Horen, Heranush’s little brother, also survives in that way. Heranush’s mother Isquhi survives the death march and arrives in Aleppo, Syria. After the war, her husband returns from the United States to see if his family is still alive. He finds his wife, and together they try to find their kidnapped children. They work through intermediaries, find both Heranush and Horen and want to reunite the family. They succeed in getting Horen back, but not Heranush. She has got married in the meantime, and even though at first her husband agrees to visit the family in Syria, he changes his mind after he fears losing his wife and children. Heranush remains as Seher. What was it like to write down the story of your grandmother? Your grandmother only confided in you about her past when she was over ninety years old. Why only then? “I asked her the same question, just like I asked her why she never tried to get in touch with her parents and brother in the US. She always replied: ‘Ne bileyim?’, which means ‘How am I supposed to know?’ Her family even sent her money once to come and visit them, but then she had eye problems and her son went in her place. He got into a fight there and when he returned, he said he had lost the family’s address. She let it be that way. You grew up in this nation state Turkey, with a Turkish identity. What does it do to your identity when you discover there is Armenian blood in the family? Seher kept her real identity hidden, but couldn’t keep that up to the end of her life. With one question she started many long talks with her granddaughter: about a year before she died, she asked Fethiye to go find her family in the United States. It was a short talk, after which Fethiye’s head was spinning with questions. Again and again she looked for opportunities to talk to her grandmother about her past, and again and again her grandmother seized the opportunity. You didn’t manage to get her in touch with her family. “No, I didn’t. I found them through a classified ad in an Armenian newspaper, and Horen turned out to be still alive. But he recently had a heart attack and died. I could tell my grandmother that he called his daughter Heranush. Of course, that made her feel good, she was now sure that she was never forgotten. Grandmother was too weak to travel to the United States and she died without ever seeing her Armenian family again. I did meet them. I went there to celebrate the eightieth birthday of my grandmother’s sister, who was born in the United States. With a few family members we visited the grave of my grandmother’s parents. I put roses on it. And I apologized. For all the pain they suffered because of the way society, my society, handled the things that happened. The pain caused by the silence, and by the history books in schools that depict Armenians as enemies. The ‘enemy’ can be in your family and can therefore never be the enemy; we are all human beings, that is the message of my book. I just read “My Grandmother” and was overwhelmed so greatly by the story of Mrs. Cetin’s grandmother, Heranush. I had an aunt (my father’s younger sister) who married a survivor of the Genocide. He had been taken away from the death march during that same period, and was raised by arabs and became their shepherd, much like Horen. Years later, he run away, went to Beyrut and regained his Armenian identity. Then came to Iran and married my aunt and lived the rest of his life in Iran. This story has to be told from every point of view, to make it a complete picture of the real events. My generation grew up on stories about the genocide generally & how it affected our grandparents’ particularly. I can’t explain the range of emotions that I feel now as an adult & as a teacher in an international school, when an adorable Turkish teenage girl joins my classroom. It is confusing, difficult & complicated! People like Fethiye Cetin give me hope that may be one day, the Turkish goverment will finally be able to acknowledge and apologize. That’s the least they can do for the souls of a million & a half. I too was overwhelmed when I read this story. I was born and raised in Turkey and have gone through public education with all the official versions of what happened. But stories like Ms. Cetin’s have always been told among people if you were willing to listen. Particularly I remember the story of a fleeing Armenian in the 1915 calamities who jumped into the river to escape, but was shot to death by some irregulars! It is amazing to see how some of my Turkish friends, who are literate, well educated and conscientious, react to the 1915 massacres in disbelief anger and denial. I am glad that in the last 10 years books like Ms. Cetin’s have arrived. By presenting what happened to ordinary people without getting into the greater debates, they may provide the much needed crack of light to many souls who need the enlightenment very badly! Great book. So significant at so many levels! i just read your book. Your grandmother was a very strong woman. To come out and tell you what happened to her. Others keep or kept the secrets with them and never told their Turkish families and just took it to the grave with them. Maybe if others had been strong enough to tell their families of their true identity people would accept what happened during the Armenian Genocide. 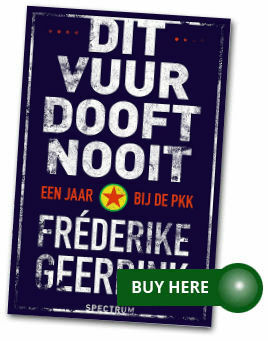 Dear Fethiye, I´ve just finished reeding your book ( My Grandmother). I´ve looked for it for 3 years! and found it in USA, no in Argentina, where I live.So that´s why I´m interested in contact you directly .Please are you kind enough to send me your e-mail adress? I think that these stories tell us that war is not only killing people or soldiers . It kills the future and past of the people. When I read these stories I feel emotional. But nothig more. We probably lost 10 to 15 men as a family during that period but we do not mourne for what happened to them 100 years ago. I strongly believe that every armenian man or women has a mental problem over this deportation.I do not understand why turkey appologise for this. Some armenians still dream of invading turkey which indicates a mental problem. Why not try to resolve these problem in your mind and become part of normal humanbeings. it is pathetic that describing Armenian Genocide as a simple deportation issue, more armenians were killed within the country especially men long before the depportation, those who were send to dead march weere mostly women ,children and old people. Armenian Genocide has been recognized world wide including EU parliament , Turkey still in denail of its crime against humanity and under article 301 you may go to jail if you say Armenian genocide happened. without any question some armenians took side with russian during the war and some armenians were defending their family or took some revange here and there but still no justification of killing over one million Armenians as a result of that. it is not only armenian that suffered, there were over 3 million christians (Greeks, Armenian Assyrians pontos) in Anatolia and how many are they now??? christians were ethnically cleanesed from Anatolia and to justify that simply blame the victims. what happened to the wealth that was confiscated from Armenians? Turkish mono-ethinc nationalism is no longer the answer of solving problems in current climate. Turkey need to grow up and accept it bloody past like Germany did it in a honourably way. that would make Turkey as a respectable nation again. falsfy history taht known very well from west would bring turkey no where, I guess turkey realizing that all ready. Read ‘My gradmother’ and found it very sad and yet a tribute to her grandmother that she still got on with her life. It is amazing what people can do to each other and the Turks are no different to any other race. Many years ago I was in the general area described in the book and climber Mount Eryces. On the top there were engravigs in Greek a people who no longer riside in this area. I am a Turk, and just read the book. I felt terrible. For whatever it is worth, I am very very sorry. I just wonder if Islam can say “I am sorry’ and move on. In the 20th century there are many examples where atrocities were committed – but decades later a maturer generation acknowledged the atrocities and apologized on behalf of their ancestors – Germany, internment of the Japanese in Canada/US, comfort women in Japan, Rwanda/Canada and other examples come to mind. If Turkey wants to join the civilized world they need to face the past. For their own sake.